Need New Years party ideas? 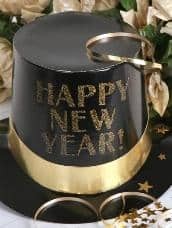 Throwing a Party for the New year is a great way to ring out the old and welcome the new! So you have decided that this year you are not leaving New Year’s Eve plans to chance. 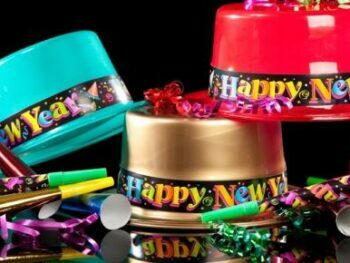 You are going to throw your own New Year’s Eve party, invite al your own friends in your own home. It sounds simple until you start looking over the guest list and begin making concrete plans. This is when the guest list balloons, and the expense threatens to take the place of rent as your biggest bill for the month. Relax. You don’t have to let the party spin out of control. There are a few tried and true ways to throw the biggest bash of the year, that won’t break the bank and keep your guests ridding so high they will hope the ball never drops. 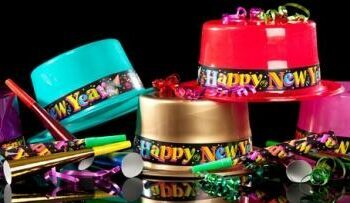 Try out a few of the New Years party ideas below, customized in your own way, for a fun New Years party. Just because you are hosting the party, does not mean you must open your home to guests, nor does it mean you have to drop a bundle on a rental hall. There are all sorts of businesses that are happy to welcome you and your party without charging extra for it. Access to party space free of charge and outside your home is never more true than on New Year’s Eve. The very streets of most big cities spring to life offering endless party location possibilities. To choose the perfect venue ask yourself the following questions: Do you want a quiet and intimate gathering or a rocking, rowdy romp? Do you want to serve dinner, or a buffet or appetizers and tasty sweets? Knowing the feel you’d like your party to have will allow you to select just the right restaurant, club, bistro, bar or hall to meet your needs. In the end you may decide that the only way you will get the party you really want is to open your home. That’s OK, because you will know that it is exactly what you are wanting. One of the most important parts of any gathering, party, meeting or evening out is what food is being served. Likewise the food and beverage element of a party is one of the main expenses. For some footing the bill for a large party is no big deal. For the rest of us non-billionaire hosts, there are ways to cut costs. Instead of serving a full seven course meal to each and every guest split the party up, invite your closest friends to a pre-party dinner party. Allow time between desert and the start of your second party for clean up, then invite anyone you ever met swell your party crowd to a respectable New Year celebration. If the two party night isn’t your deal, make the food potluck. This is a great way to cut the expense as well as preparation and clean up times. Most guests are eager to know if they can help in some way. Asking them to bring a treat to share is not a burden. Often the invitation to help actually makes your guests feel more comfortable: they have a part in the party and know that there will be something that hit’s the spot for them to eat. When New Years Eve is upon you, remember to be a great host by greetng your guests as they arrive. Stock your freezer with extra ice, and have napkins readily available in case of spills. Most importantly, enjoy yourself. An uptight host sets a somber tone. Laugh, be happy and use any of the New Years party ideas above to help ring in the New Year your way!